Justin Blackmon had a huge first game back, and he's slotted up in Tier 4 this week facing the Broncos. Expect lots of passing this week from the Jaguars. 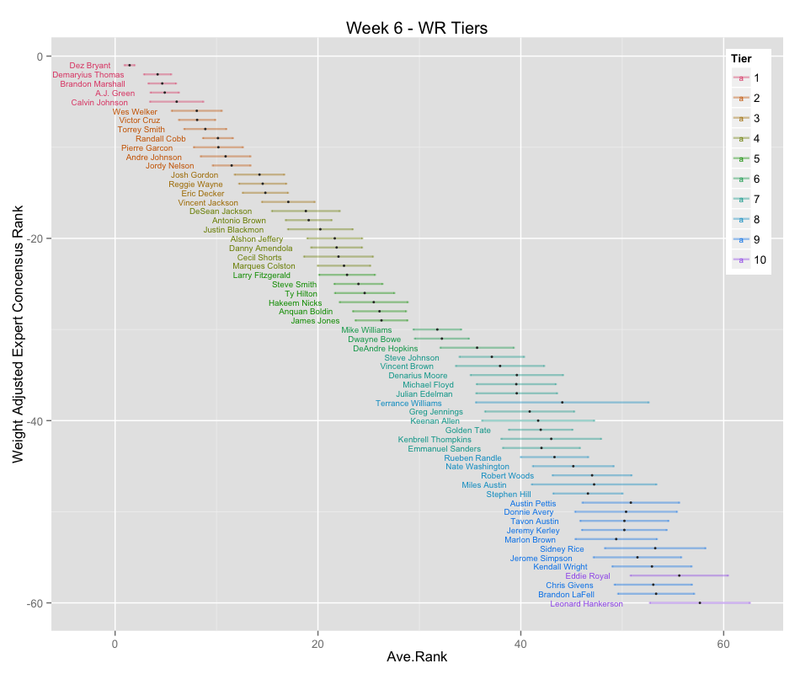 Anyone in the top 3 tiers this week is capable of producing WR1 numbers. WR2 territory ends at Tier 5. 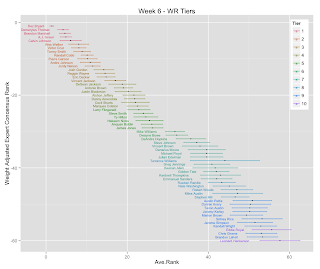 The drop off after tier 5 is one of the largest we've seen this year. It's hard to count on anyone below here. Mike Williams is counting on the rookie Glennon. Dwayne Bowe, despite being the top wide out in Kansas City, has not been consistent this year. DeAndre Hopkins has shown promise, but is relying on "4-game pick 6 streak" Matt Schuab.